In a television interview broadcast Sunday, President Barack Obama reiterated his warning that opponents of his nuclear agreement with Iran offer no alternative but a new American war in the Middle East. Invited by CNN’s Fareed Zakaria to pull back from his comparison of Senate Republicans to the elements in Iran opposed to the deal, Obama instead repeated the charge, saying both the Republicans and the hardliners in Tehran opposed any easing of US-Iranian relations. The interview came only days after New York Senator Charles Schumer responded to Obama’s August 5 speech warning that the alternative to the nuclear deal was a war that could extend well beyond Iran and the Middle East by announcing he would vote against the agreement. Schumer is expected to succeed Senate Minority Leader Harry Reid as the top Democrat in the upper chamber of the US Congress next year. The ultimate fate of the agreement, which includes Britain, France, Russia, China and Germany and is backed by the United Nations, remains unclear. The US Congress is expected to vote on the deal after it returns from its summer recess on September 8. Virtually the entire Republican caucus in both chambers is set to disapprove of the agreement, along with a significant faction of Democrats. The White House is scrambling to secure sufficient votes among Democrats to prevent the House and Senate from overriding a presidential veto of a bill blocking US implementation of the accord. The conflict within the American state presents the spectacle of a large majority in Congress, speaking for powerful forces within the ruling elite and the intelligence and military apparatus, pushing for imminent war against Iran and risking a breakup of the US-Europe alliance and the outbreak of a Third World War. Obama gives the impression of a “commander in chief” who is losing control over a drive to war far greater than the wars in Iraq and Afghanistan. He seeks to present himself as an advocate of peace, despite boasting in his August 5 speech of having sent American forces into combat in seven countries since he took office in 2009. Both factions in the conflict that has erupted over the Iran deal are committed to the defense of American imperialist interests around the world and to the use of massive violence when deemed expedient. The differences have arisen, in part, because the previous interventions by the Bush and Obama administrations have produced debacles for US imperialism in the Middle East. Iraq, Syria, Libya and Yemen, to name only the most obvious, have disintegrated into bloody civil war as a consequence of US military operations and political subversion. The Obama administration is seeking to carry out a tactical shift, testing whether the Iranian bourgeois regime headed by President Hassan Rouhani can be induced, through a combination of economic sanctions, diplomatic pressure and the threat of war, to align itself more directly with Washington. It sees the nuclear deal as the potential precursor to Iranian assistance to US-backed forces in Iraq, Iranian backing for the removal of the Assad regime in Syria and a reorientation of Iranian economic ties from Russia and China to the Western imperialist powers. The US Congress will take up the Iran nuclear deal when it returns from its August recess, with votes set in both the House and Senate on resolutions to disapprove the deal and block any lifting of US economic sanctions on Iran. A resolution backed by the Republican leadership is certain to pass the Republican-controlled House, but requires 60 votes—meaning at least six Democrats—to overcome a Senate filibuster. If Congress adopts the resolution of disapproval, Obama will veto it and his opponents will seek to override the veto through a two-thirds vote of each house. Assuming every Republican supports it, the veto override would need the support of 13 Democrats in the Senate and 44 Democrats in House. Reacting to Senator Schumer’s statement opposing the nuclear deal, White House spokesman Josh Earnest commented that he “wouldn’t be surprised” if Senate Democrats took Schumer’s dissent into account in the leadership vote set for the end of 2016. Referring to the New York Democrat’s vote for the 2002 authorization of the war in Iraq, Earnest said, . The comment raises obvious questions, since Schumer was far from the only leading Democrat to vote for the Bush administration’s war in Iraq. Hillary Clinton, now the frontrunner for the Democratic presidential nomination in 2016, Vice President Joseph Biden and Secretary of State John Kerry, who negotiated the Iran deal, also voted for the war resolution. The apparent Freudian slip was a reference to the possible use by Washington of nuclear weapons against Iran. Obama turned the question aside, saying he preferred “not to anticipate failure” in getting the Iran deal ratified. But the fact remains: a US war against Iran would not be limited to air strikes against nuclear energy production sites and might not be limited to the use of conventional weapons. 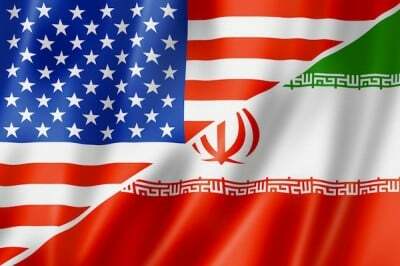 The aim of such a war would be the military conquest of Iran and installation of a puppet government. To accomplish this against a country of 80 million people, four times the size of Iraq, would require an American occupation force in the hundreds of thousands, or the use of nuclear weapons, or both.